Do You Have a Sports or Related Injury? If you have experienced a sports injury and are looking for non-surgical treatment options, find the help you need from one of Utah’s most highly trained and experienced sports medicine, physical medicine and rehabilitation doctors. As a Physical Medicine and Rehabilitation physician, Dr. Engelen can offer solutions that may help you avoid surgery. Call today to make an appointment. Dr. Engelen earned his Doctor of Osteopathic Medicine at Kansas City University of Medicine and Biosciences, followed by a transitional internship at Naval Medical Center Portsmouth in Virginia. He then served as a Lieutenant in the Navy and operated as the medical officer for 1st Battalion, 6th Marines in Camp Lejeune, North Carolina and for a deployment to Afghanistan. He subsequently completed the Navy Undersea Medical Officer Course and operated as a Dive Medical Officer. 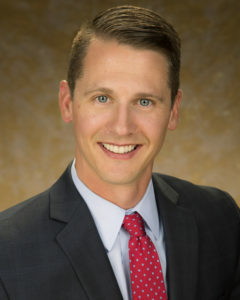 Dr. Engelen completed a residency in Physical Medicine and Rehabilitation at the University of Utah and most recently completed a fellowship in Sports Medicine at the University of Pittsburgh Medical Center in Pennsylvania. He has actively supported the Pittsburgh athletic community by serving as a team physician for a high school and a Division II Collegiate athletic sports team. He has provided event coverage for the US speed skating team, US junior freestyle aerials, Salt Lake marathon, South Jordan marathon, and the Pittsburgh marathon. Dr. Engelen is currently serving as the team physician for West Jordan High School in Utah. This entry was posted in Physicians on September 12, 2016 by admin.